Most of you know by now that I love any excuse to celebrate, whether it’s a big buffet style dinner party or a small family gathering – any day is a good reason for making memories, so at least once a year I try to host a meal and have all of our friends and families come over to catch up on each other’s lives. 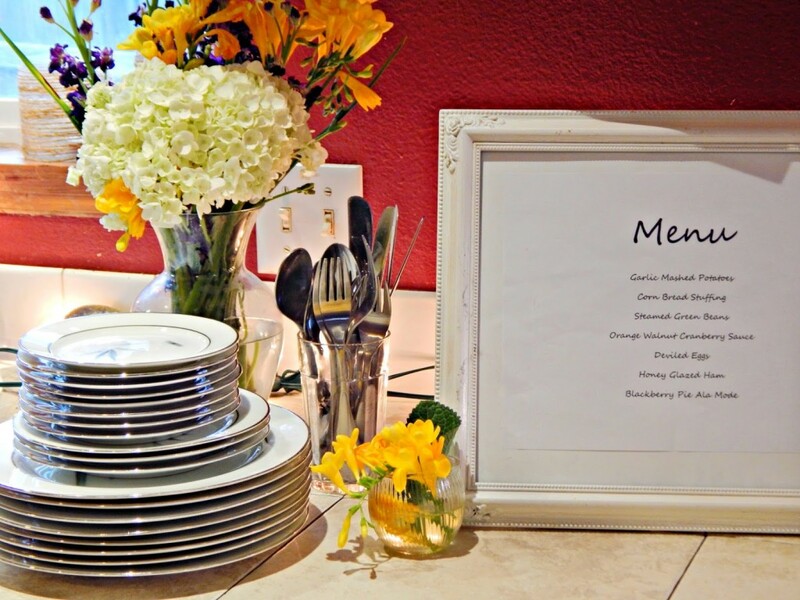 When there is a large group of people over for dinner it’s easier to host a buffet style meal versus a more formal sit down dinner – and since most of our guests prefer a casual setting, a-serve-yourself meal works perfectly. 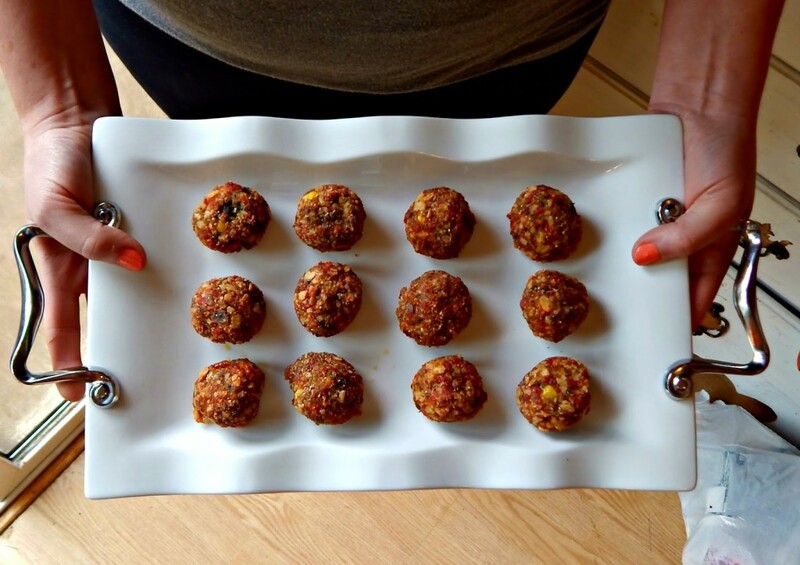 When I have a buffet at my house there are a few things that I keep in mind to help make the meal process run a little more smoothly. 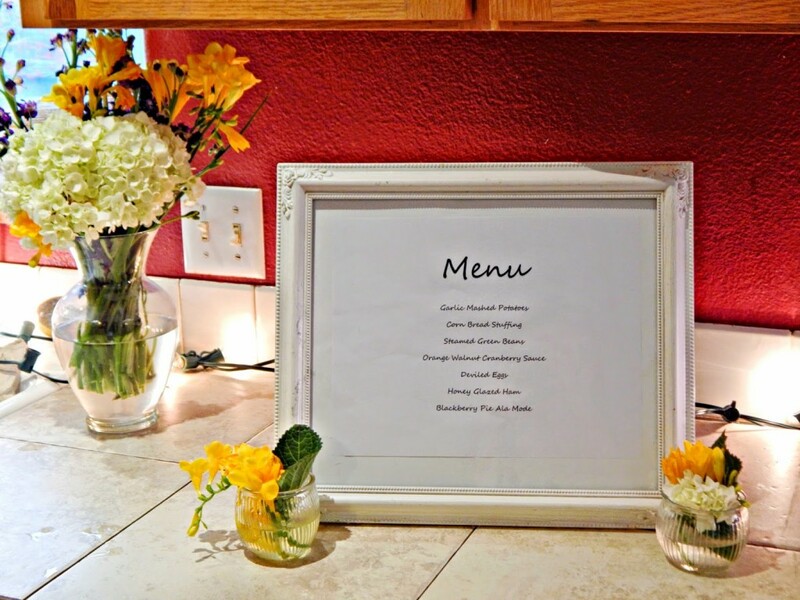 We have a pretty small home so it’s imperative to make use of every inch of space, and I know that I’m not the only one out there who needs to be creative when they have guests over – so I’d like to share my tips with you! 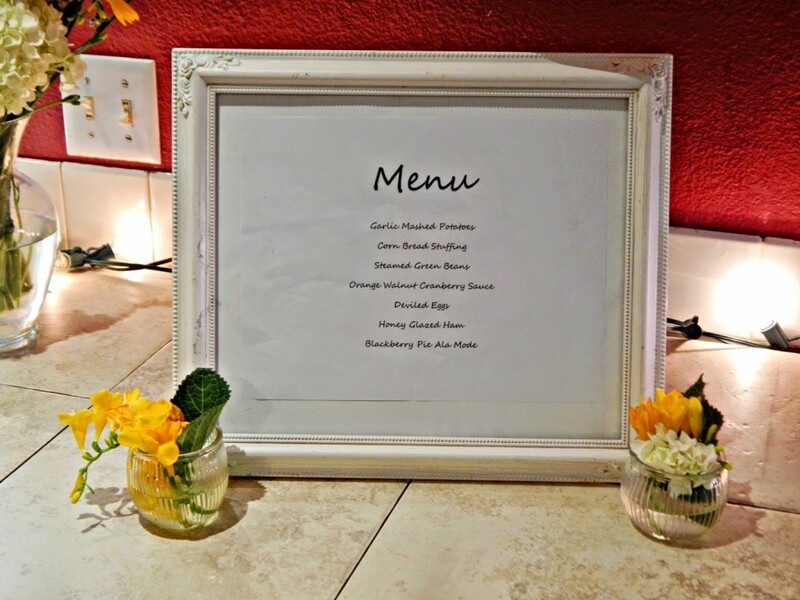 The first thing (after deciding on a menu of course) is to figure out where the dishes and food will be placed. 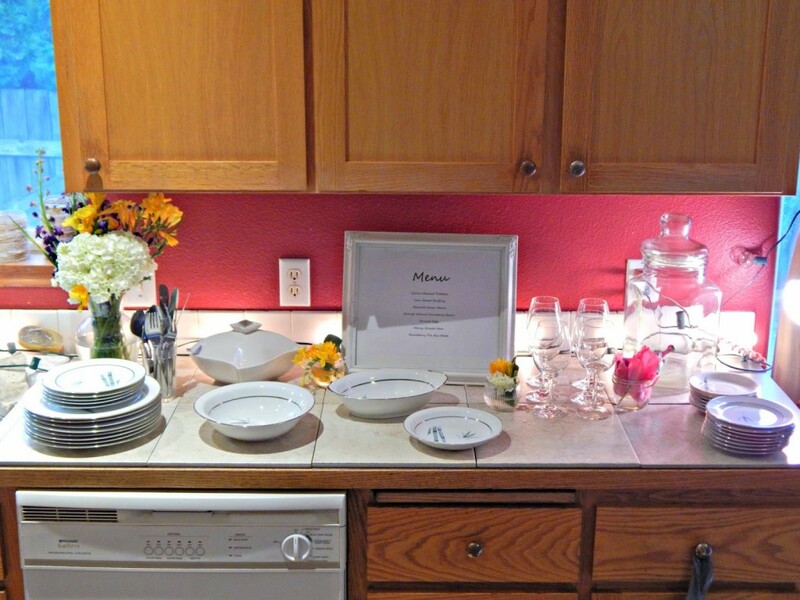 Whenever possible I prefer to host a part outdoors because I have a lot more freedom of where I can set up and place things, but unfortunately the weather isn’t always perfect – so when we gather inside I set up the main dishes on the kitchen counter, beginning with the plates and silverware on one end, and then set the desserts up in a separate area, like a hutch or coffee table, along with additional plates and silverware there. 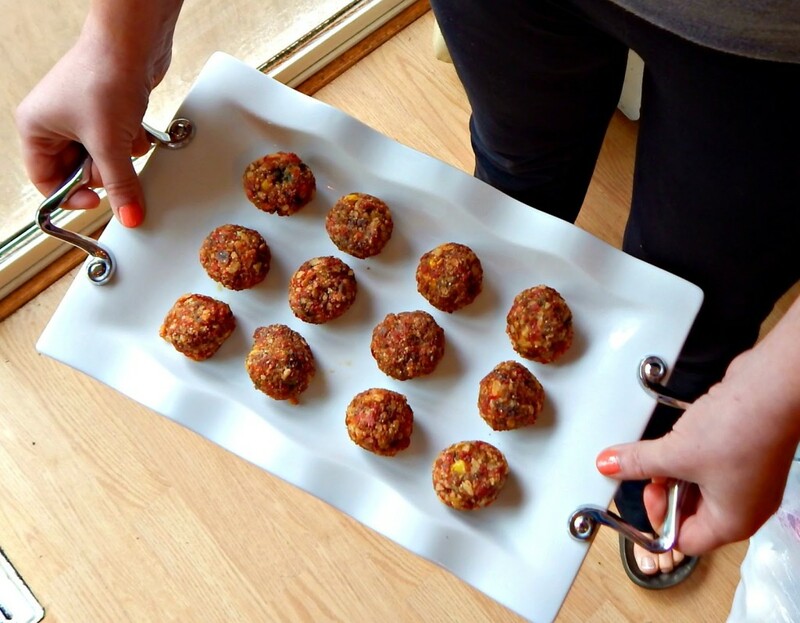 Appetizers can be placed in various areas for nibbling on prior to dinner – the ottoman works well for this. 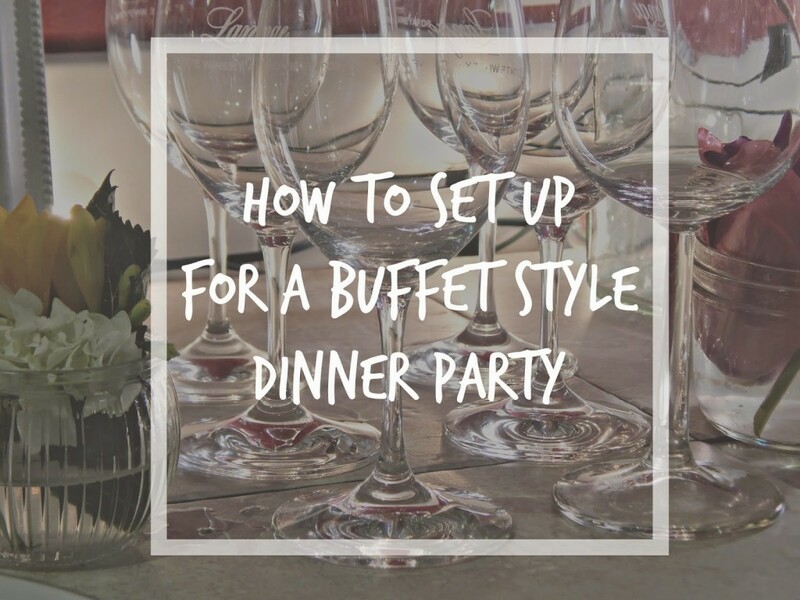 Depending on what beverages are being served, I will either set up at the end of either the dinner or dessert table and additional beverages like wine can also be kept on the dinner table for easy refills. 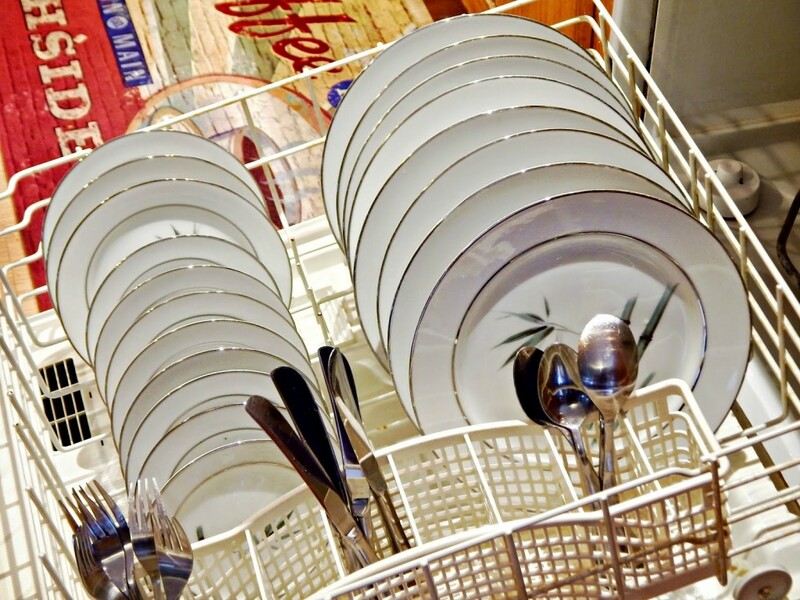 Next after figuring out where everything will go I will pull all of the glasses, silverware and serving dishes out of the cupboards and re-wash them. 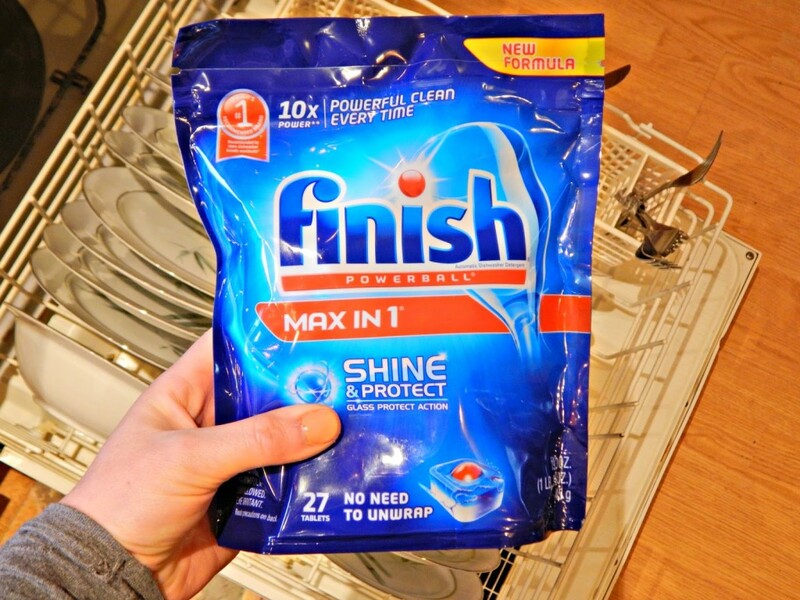 Our nicer dishes and beverage glasses don’t get used very often, and they tend to get dusty and dingy looking while being stored, so I always run everything through the dishwasher with Finish® Max in 1™ tablets. 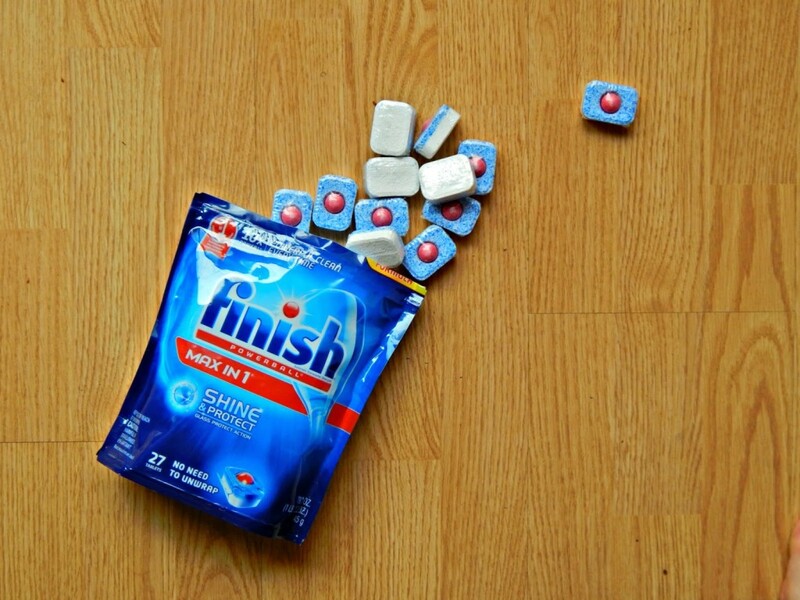 I’ve always used Finish® products for the dishwasher, but their new formula is amazing and makes all of the dishes really clean and sparkly. 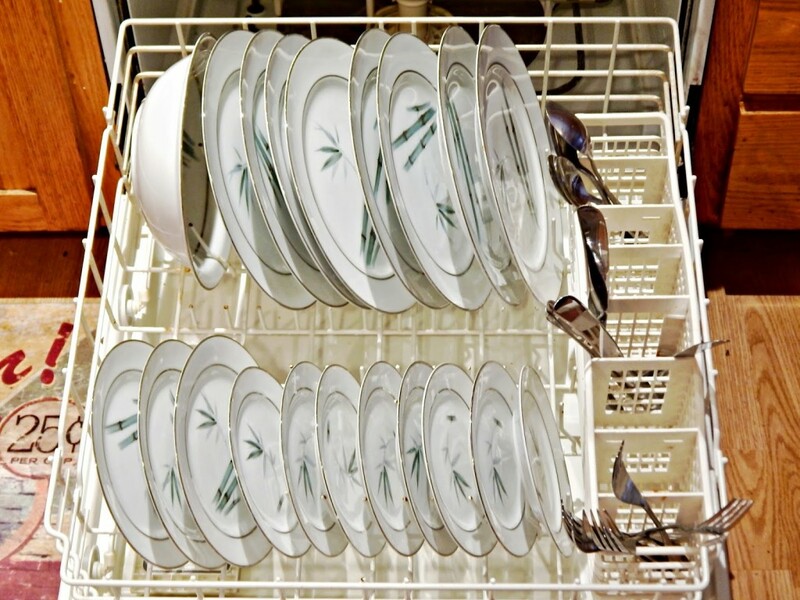 They also have something called Glass Protectant Action which helps prevent glass corrosion. 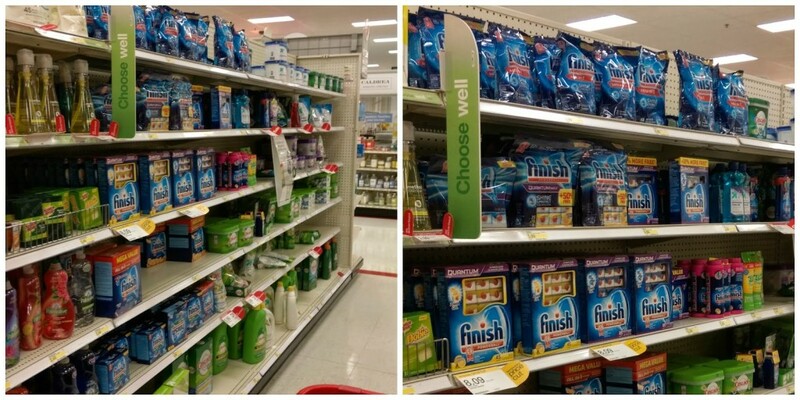 You can find them in the cleaning aisle at Target! 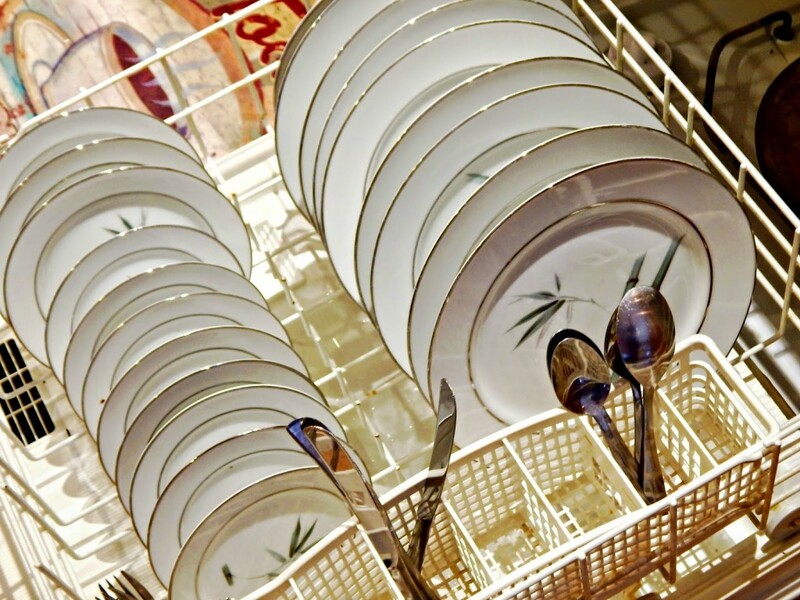 After the dishes are washed and dried, set everything out prior to your guests arriving. 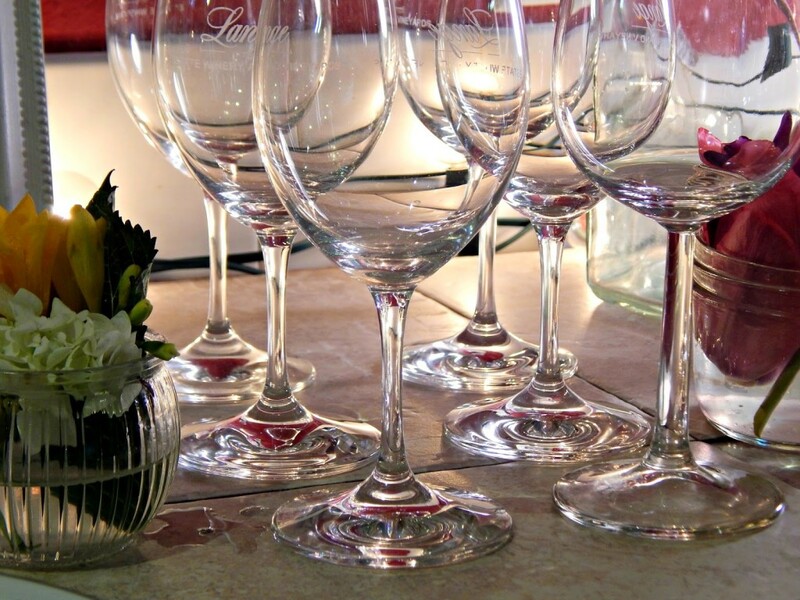 You’ll probably be busy finishing cooking the food, so if all of the beverages and utensils are already set out, you won’t have to rush or look flustered last-minute trying to find things. 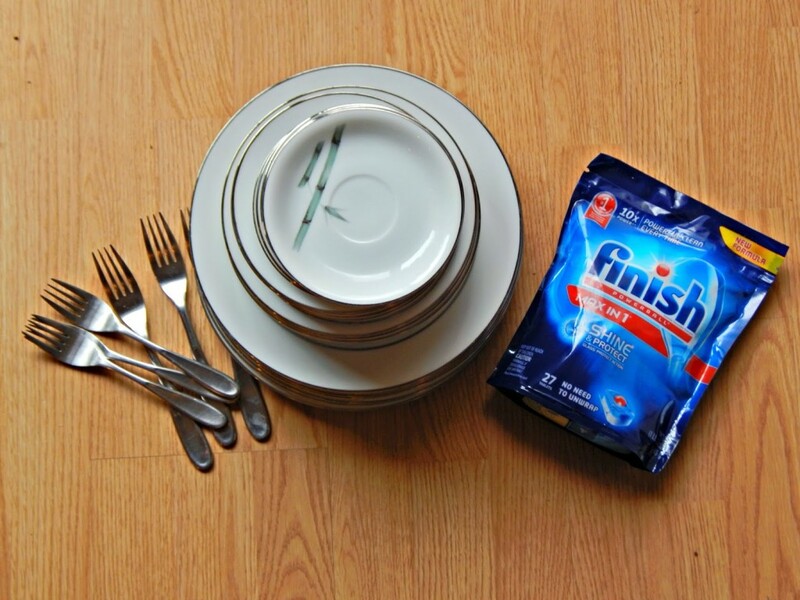 An empty dishwasher with a Finish® Max in 1™ tablet already loaded – so guests can simply place their plates in the dishwasher if desired. 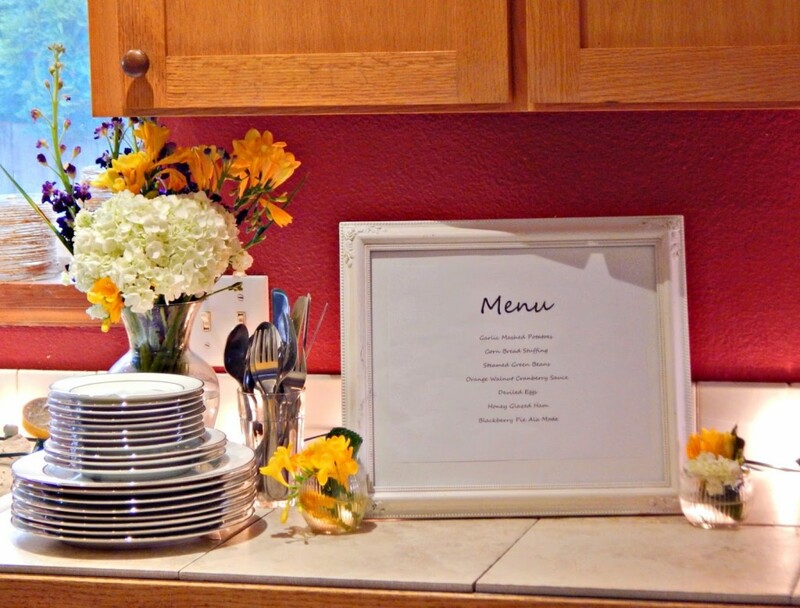 What are some of the things you do to get ready for a dinner party? Please comment below and share and tips you may have too! 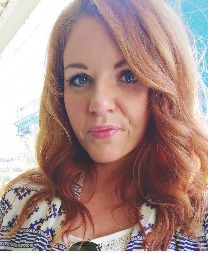 When we were starting to plan our wedding, we contacted this event coordinator team and received an email back almost right away. They were very helpful with any questions that we had regarding their services and answered emails and phone calls very promptly.